1. 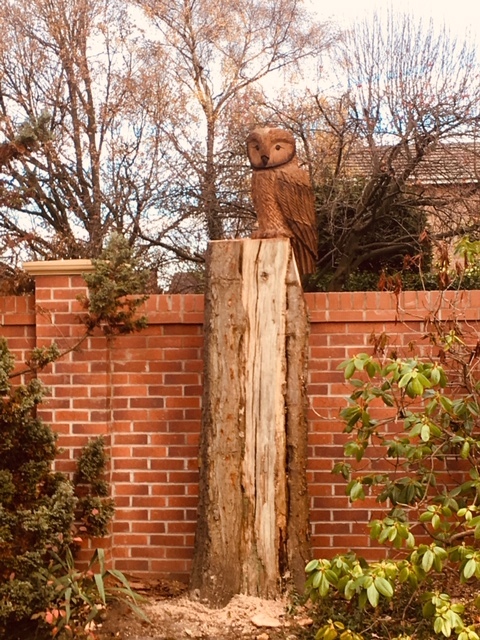 JUST CHAINSAW SCULPTED OWLS: A Tawny style Owl added to a poor tree stump. A Tawny style Owl added to a poor tree stump.